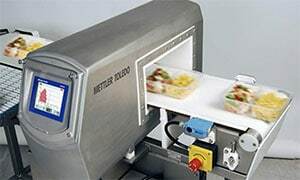 For decades, product inspection for food has incorporated two main technologies: metal detection and x-ray. Here’s a primer on the differences between two technologies – is one better than the other? Both technologies have been integrated into quality control protocols for food manufacturers around the world. Through the years there have been enhancements to both to improve performance and meet increasingly robust regulations. When selecting the most appropriate inspection technology for an application, one question is obvious: Is one technology superior to the other? The truth is that comparing these technologies is like comparing apples and oranges. Both offer advanced solutions for thorough product inspection, yet the technologies are very different and provide specific advantages depending on a manufacturer’s needs. The better question should be: Which technology is better suited to my application? Practically all food products are subject to the risk of some type of unwanted contamination, beginning from the time food is picked in the field, processed, packaged and shipped to consumers. Many of these contaminants and foreign objects are very difficult to detect. Some of the most common foreign bodies manufacturers need to exclude from their products are metal, glass, high-density rubber and plastics as well as mineral stones. Processed meat is just one of many examples of a food product that is subject to metal contaminants. This is because there is a risk that the equipment used in processing, such as grinders and cutting blades may break during manufacture, resulting in small metal shards making their way into the production stream. 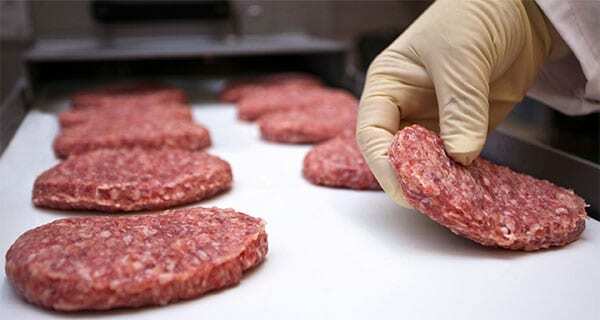 Food manufacturers typically use the (HACCP) guidelines to determine how best to safeguard products from contamination. The procedure typically requires that all production processes are fully audited and critical control points (CCPs) established after each point where a contamination risk is identified. Metal detectors are the popular workhorses for metal contaminant detection. They generally outnumber x-ray detection systems installed in food factories and also tend to be more cost-effective. MD technology works by creating a detection field from an electronic detection coil system within a search head. Very small disturbances are created when metal contaminants pass through the field of detection. The tiny electrical signals generated are received, amplified and analysed by sophisticated software. The technology works with any type of metal including ferrous, non-ferrous and stainless steel. As a well-established inspection technology, there is a wide array of MD options available to manufacturers to suit their application. For example, gravity fall MD systems have been designed for bulk powders, granules and other dry products in “free-falling” applications. Pipeline systems are available to inspect liquids, pastes and slurries as they are pumped through process pipelines. All systems can be engineered to enable them to operate comfortably in harsh environments where they need to withstand frequent wash-downs or high humidity. One potential challenge with this type of technology is that some conductive or wet products can create electrical signals when passing through the detection field in the search head. These signals cause a phenomenon known as “product effect” which can in some cases mask signals of any contaminants within the package. To overcome this, developments in MD systems have led to the use of variable frequency technology, which allows the software to select the most suitable frequency for each application, in increments of 1kHz, with an automatic function that determines the optimum frequency for the product being inspected. This enables the most challenging products to be inspected successfully including those with high moisture content as well as those packaged in metallised film. MD technologies have also been developed to meet the needs of specific markets. One example is the sausage industry, which has a host of inspection challenges. Grinding equipment used to process sausages and metal clips used to seal sausage ends can result in tiny metal particles making their way into the end product. 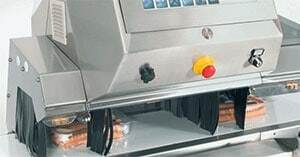 A metal detector introduced to the market has been specifically designed for sausage processing operations and can be easily integrated with widely-used vacuum fillers and sausage processing equipment. The technology uses short throughput tubes and is constructed from stainless steel with high sealing standards certified to Ingress Protection Rating IP69K that can withstand harsh environments and wash-down regimes. X-ray detection is an entirely different technology from MD. It uses an invisible form of short-wave electromagnetic radiation to capture grey-scale images of objects. As it scans the product, it analyses the images generated to detect contaminants which have a higher density than the surrounding product. The sophisticated software used to analyse the image is also able to calculate product length, width, area and volume, enabling it to carry out mass measurement calculations. It can also identify missing, broken or misshapen products, monitor fill levels of liquids, and detect product trapped within the seals and other irregularities. Because of this, XR is seen not only as a tool to detect contaminants but also as brand-enhancing method of checking to make sure a product will look exactly as a customer expects it to look. XR systems are typically deployed at the end of the production process after the product is packed, but they can also be used in some processing environments too. XR technology is able to detect glass, calcified bone, mineral stones and high-density plastics as well as metal contaminants. If a HACCP audit conducted by a food manufacturer identifies the risk of multiple contaminant types (more than just metals) then XR is likely to be a more suitable choice than MD. XR technology also has the ability to inspect metal packaging, such as tin cans or aluminium foil trays, for foreign bodies and out-of-place products. MD technology can be used to inspect some products packed in metallised films (where metal contamination is the risk) but only XR technology can inspect and identify contamination in food cans and aluminium trays. In addition, the technology can be used to identify products that are deformed, out of place, as well as missing components. For example, XR scans can quickly detect a missing or misshapen praline in a premium box of chocolates, which includes aluminium foil wrapped products. Choosing MD or XR or both? When it comes to choosing MD or XR technology, food safety regulations and retailers are largely leaving the decision to manufacturers. Leading standards have not weighed in on preferences regarding MD or XR technology. Neither technology is considered superior to the other in terms of product inspection. Instead, manufacturers must evaluate their production process and decide which technology makes sense for their own products and specific contamination threats. Such decisions can only be established after a comprehensive HACCP audit that identifies critical control points and the best method for risk mitigation. The most successful product inspection system in some cases might be to incorporate both technologies at critical control points throughout a production line. It is important that manufacturers understand the individual needs of their production lines and the food quality legislation that they need to comply with before implementing a product inspection system. By making use of MD and XR technologies, food manufacturers can ensure they meet and exceed regulatory requirements and retailer food safety guidelines. At the same time they will be protecting brand reputation and guaranteeing consumer welfare. Ultimately, as with any important decision, manufacturers should seek guidance from professionals. Making the right choice is important, and asking for expert help is the safest way to select the right solution.